Expanded clay has been used as a geotechnical fill material in many European countries since as far as back as 1958. It possesses properties that can solve many problems simultaneously, providing simple solutions to a wealth of civil engineering challenges. With low weight and high strength, it can reduce settlement, earth pressure and risk for stability failure. Drainage and insulating properties also proves valuable in numerous applications in and around buildings, sport fields and installations. Expanded clay in civil engineering applications in covered and declared by European standard EN 15732, Lightweight fill and thermal insulation products for civil engineering applications (CEA) - Expanded clay lightweight aggregate products (LWA). Low density and ease of handling, coupled with consistent high quality, make expanded clay a highly competitive alternative to other lightweight materials. 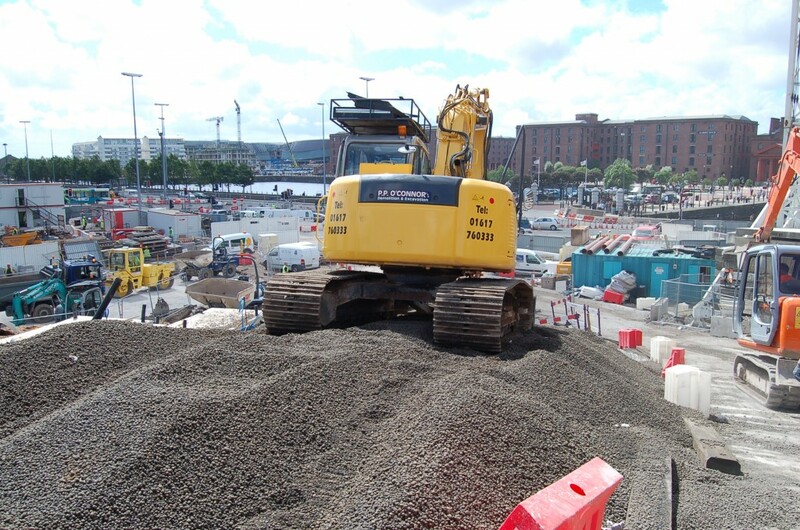 Expanded clay can be tipped into an excavation or pneumatically blown directly on site. Expanded clay is a material with a low degree of compaction. Depending on application choice of transportation and handling will differ. Best practice on how to install expanded clay can be found in the EXCA report 2015/TR/001 in the technical library. The grading of expanded clay for most geotechnical applications is 10-20 mm or 0-30 mm.